Home Investments How Does Nasdaq Make Money? How Does Nasdaq Make Money? Simply put, Nasdaq helps companies raise money and helps investors make money — but all of that help comes at a cost. The pioneer of the world’s first electronic stock market, Nasdaq manages 90 different markets and exchanges across 50 countries. In fact, approximately 10% of the world’s security transactions occur on Nasdaq systems. Nasdaq is home to more than 4,000 listed companies with a market cap of $15.43 billion and over 10,000 corporate clients. Nasdaq has helped tech giants Apple, Inc (AAPL), Microsoft Corp. (MSFT), and Intel, Corp. (INTC) become what they are today. These companies used Nasdaq during their early days to raise the much-needed capital in a timely manner, enabling them to become billion-dollar enterprises. On Dec. 4, Nasdaq acquired Quandl, one of the biggest “alternative data” platforms on the market. The acquisition is yet another example of how stock exchanges are expanding their businesses away from listings and towards data and technology. At the time of writing, Nasdaq’s non-trading business segments account for roughly three-quarters of its annual revenues. Nasdaq reported Q3 2018 earnings on October 24, 2018. The stock exchange reported net revenues of $600 million this quarter, compared to $607 million over the same time last year. Where does all this money come from, you might ask? In a nutshell, Nasdaq runs its business on fees. Companies pay a listing fee to appear on the Nasdaq stock exchange, investors pay transaction fees to trade, and users pay service fees to access market data, products, filing, and corporate services. Nasdaq manages, operates, and offers its various products and services through four different business segments: market services, listing services, information services, and technology solutions. Here’s a breakdown of each. The market services segment charges for transactions from cash equity trading, derivatives trading, currency and commodity trading, clearing services, broker services, and securities administration solutions. It supports trading for derivatives, commodities, cash equity, debt, structured products, and exchange-traded funds (ETFs). In select countries, this segment also offers brokerage, clearing, settlement, and depository services. Each of these services is facilitated through the Nasdaq trading platform. They charge investors a fee in order to access orders and quotes for processing, displaying, integrating, routing, executing, and reporting. Net revenue from market services were $222 million in Q3 2018, up 1% from the previous year. This business segment accounted for 37% of Nasdaq’s net revenue. Nasdaq offers capital-raising solutions to global companies through its listing services. In addition to a listing fee, the stock exchange charges fees for upcoming IPOs and to switch from other exchanges to Nasdaq. The listing services segment had revenues of $72 million in Q3 2018, up 7% from the same time last year. This segment accounted for 12% of Nasdaq’s total net revenues. This segment includes the data products and index licensing and services businesses of Nasdaq. 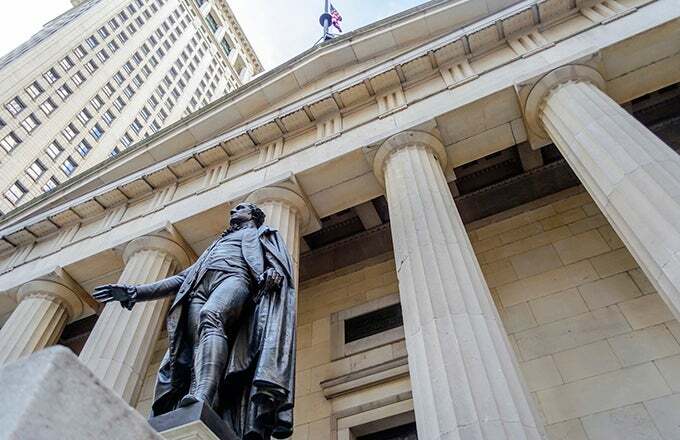 Data products and services involve dissemination of proprietary Nasdaq data and third-party data, which essentially is the price quote and trade-related information. All market participants need market data for their research, trading, and investing activities. Nasdaq capitalizes on this through its data offerings, including products like Nasdaq TotalView and various data feeds of different exchanges and data levels (level 1 data, level 2 data, and index data). Index licensing and services involves the quantitative development and licensing of various indexes used by various investment firms to issue financial products. Nasdaq charges a licensing fee from firms that use its index (or any constituent data). For example, if a trading firm wants to launch a new ETF on the popular Nasdaq-100 Index, it will have to pay the licensing fee to Nasdaq. Nasdaq currently maintains over 39,000 indexes through its Nasdaq Global Index Family across 50 countries and more than 9,000 securities. It also provides custom calculations for clients on their select set of securities. Revenues from information services were $179 million in Q3 2018, up 19% year-over-year, and accounted for 30% of total net revenues. The market technology segment offers services to over 10,000 corporate clients through two streams: corporate solutions and market technology solutions. Corporate solutions includes services for investor relations (content, analytics, advisory services, and communications tools), public relations (management of company public relations through targeted contacts, press releases, social media, and webcasts), and governance (services for effective communication and collaboration across different stakeholders). The market technology stream covers the technology solutions of Nasdaq’s diversified client base (global exchanges, clearing corporations, securities depositories, market regulators, banks, brokerage firms, and corporate businesses). A wide variety of solutions are available for trading, clearing, settlement, surveillance, and information dissemination. Revenues from technology solutions were $68 million in Q3 2018, up 10% from the same time last year. This business segment accounts for 11% of Nasdaq’s total net revenues. Nasdaq has managed to diversify its offerings to keep pace with market developments. Sources of revenue for Nasdaq are transactional charges, licensing fees, listing fees, and revenues from data products, in addition to technology products and services. Through a healthy mix of organic growth, acquisitions, and mergers, Nasdaq continues to maintain its position as one of the top global exchanges. Can Fracking Survive at $50 a Barrel?